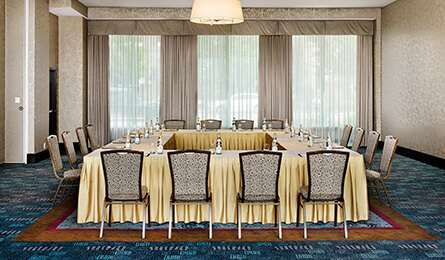 Take your meeting or event to the next level at Pinnacle Hotels’ Harbourfront or Pier North Vancouver meeting facilities. Whether it’s a meeting for 10 or a party for 700, your guests can feel at ease in attractively appointed spaces, featuring modern conveniences and incredible views. 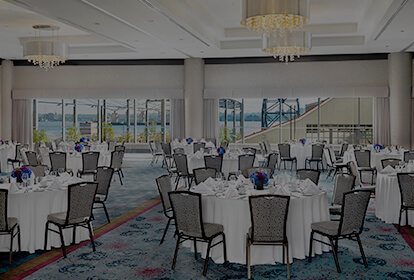 Ample natural light, state-of-the art appointments and stunning views make Pinnacle Hotel Harbourfront’s event facility one of the most attractive venues for meeting and special events in downtown Vancouver. Featuring more than 30,000 sq. ft. and 20 different rooms—including our 19th floor Vista 360 room with awe-inspiring panoramic views—it’s also incredibly versatile, equipped to host anywhere from 10 to 720 guests. 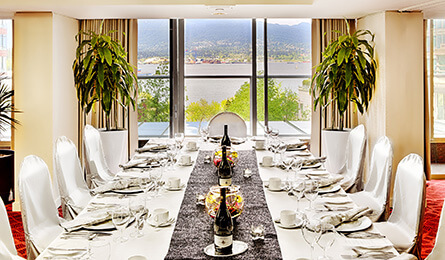 A beautiful vista of Burrard Inlet is your backdrop in Pinnacle Hotel at the Pier’s spacious and tastefully appointed meeting facility in North Vancouver featuring 16-ft. ceilings and floor-to-ceiling glass windows. With both indoor and outdoor spaces totalling 10,000 sq. ft., and capacity for up to 500 guests, it’s equally suited to intimate meetings, multi-day seminars and elaborate parties.